Outgoing and bubbly. 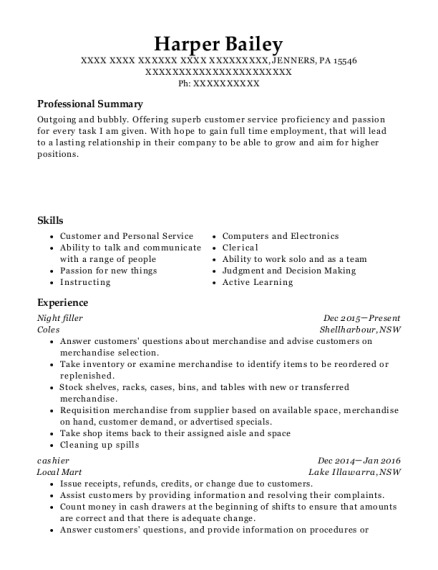 Offering superb customer service proficiency and passion for every task I am given. With hope to gain full time employment, that will lead to a lasting relationship in their company to be able to grow and aim for higher positions. 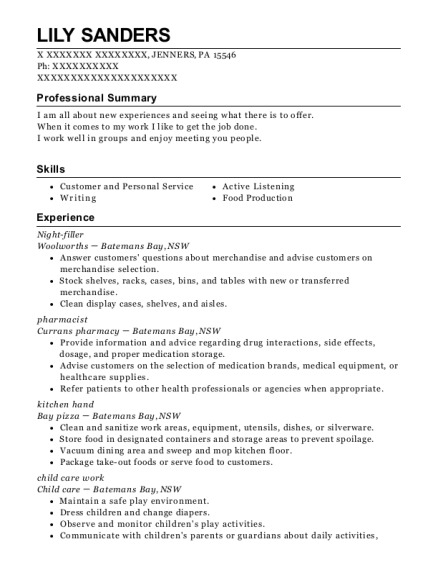 This is a resume for a Night filler in JENNERS, Pennsylvania with experience working for such companies as Coles and Local Mart. 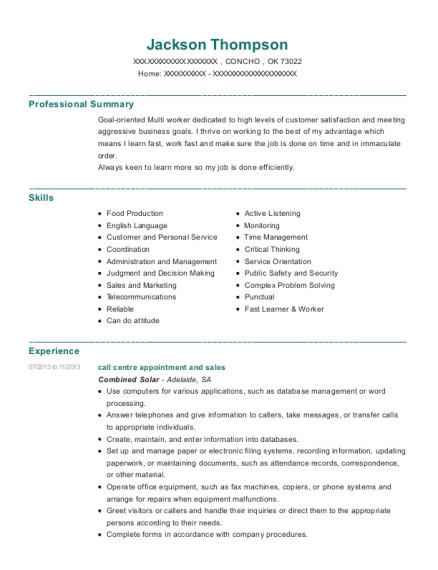 The grade for this resume is 0 and is one of hundreds of Night filler resumes available on our site for free. 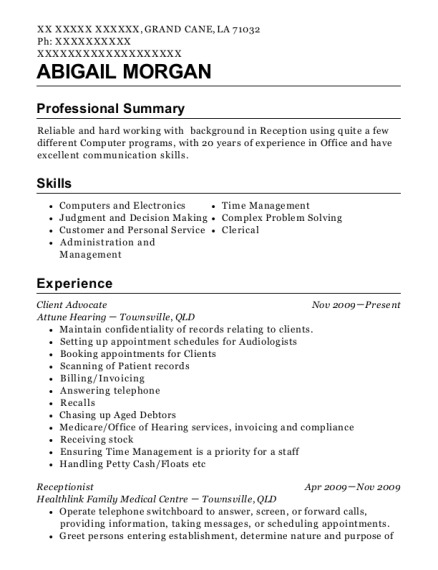 Use these resumes as templates to get help creating the best Night filler resume.